My daughter just drew this. I forgot to mention how much I love this picture. I wish I'd had a blog site back when my kids were doing stuff like this. My daughter tells me that her and her brother who is autistic are fantastic artists. She actually thinks Tony may be gifted. I was, and I'm so glad that my kids have inherited that talent. I hope they do more with theirs than I did with mine. Thanks. 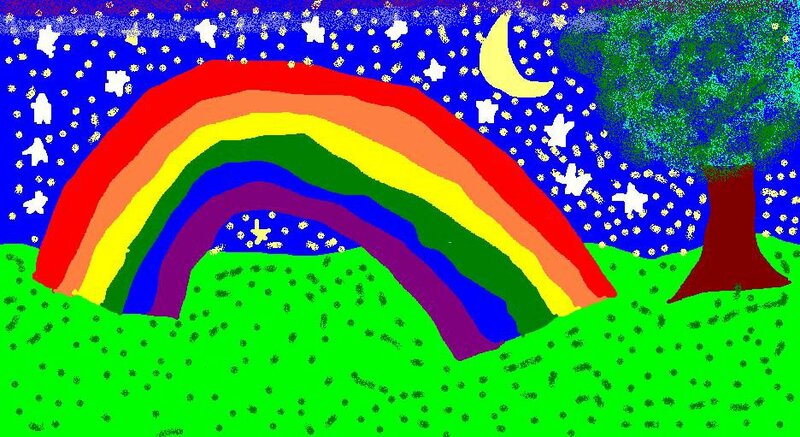 My daughter just used Microsoft Paint, the simple drawing utility that comes with Windows.